Can We Get Funko Freddy Mystery Mini Set? 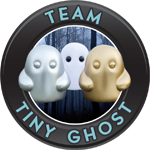 In the TOTY 2018 thread, there was a suggestion that we want a Freddy Funko Mystery Mini set. I think there are enough original Freddies that do not require other licenses that we could get a full set + retailer exclusive sets. What Freddies would be in this set? 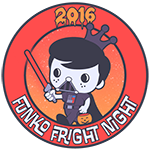 Re: Can We Get Funko Freddy Mystery Mini Set? I think it'd be really cool to have a freddy funko line of minis! Definitely would take up less space than the pops. 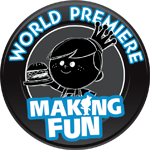 I always wondered if they would keep it to just HQ and the online shop instead of retailers, since it is Freddy Funko and not another license from a TV show or a movie. Hell yeah! Def needs to happen eventually. I think I'd like an army of tiny Robot Freddies. They'd look like little elves maintaining my pop collection. If only they could dust. I’m Thomas! Love Harry Potter, Dragonball, Doctor Who and Fallout. I would be so down for this set! 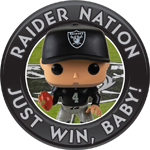 Would love to have the minis to go next to their pop brothers! Cool idea, i feel like the ratios might kill me though . I would be so into freddy minis. LOVE the advent calendar. Can you imagine if they released the OG Freddies from the past years and keep the same LE number as a chase? That would be dope. I'm all in for this!!!! This should be enough to build with. 21-26 are less dynamic sculpts, but the variations with the baseball, football, chrome, superhero, and flux, should be enough to fill individual retailers. There seems to even be enough for multiple waves. I don't know how their licensing works, so I'm not sure if they have to give General Mills a percentage if they were to make mini versions of the Freddy Frankenberry, Freddy Chocula, and so on. I almost forgot Yo-yo Freddy and Skateboard Freddy. 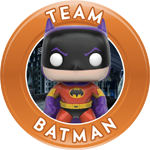 Commenting to give Funko a reason to make this happen!!! 900 Mystery Minis, and growing! I think they could definitely do a line of Freddy minis. 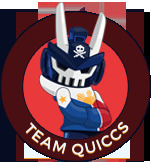 However, I feel like it would be a Funko shop/HQ exclusive line. 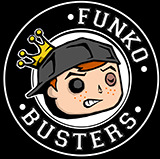 I don't know if enough retailers would be comfortable enough to place retail space into Funko's own brand that just collector's buy, not the general public. Even though minis don't take up that much space, it's still space they are taking away from something else, especially in small retail spaces like HT or FYE (mall stores with little to no stock rooms). As long as they make them all 1/12 I'm in. ISO: WWE Protos - Please send me a PM! 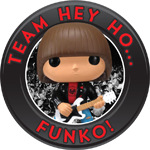 Nooklin wrote: In the TOTY 2018 thread, there was a suggestion that we want a Freddy Funko Mystery Mini set. I think there are enough original Freddies that do not require other licenses that we could get a full set + retailer exclusive sets. OMG! I LOVE THIS IDEA!! They would go great with the pints! Would love a set, but only if they are 1/12 or equal ratios. 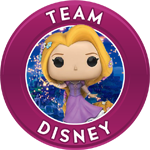 I can't imagine trying to order multiple cases from the Funko shop (and I can't see many stores wanting to stock this since it's a pretty specific character). I love this idea! I personally would love a tiny rain city Freddy and Mini statue of Liberty Freddy too. rontonsoup wrote: Can you imagine if they released the OG Freddies from the past years and keep the same LE number as a chase? That would be dope. You mean like Freddy Boba Fett? I think this would be a great line! I would love to see a little glow Freddy or robot Freddy. I love the idea. Yup. And Ghost Rider, Buzz Lightyear, Fruit Bruit, all those extremely rare Freddies. I would love this and a Spastik line as well. 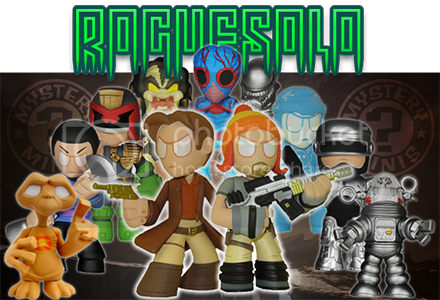 That would be awesome, but I can see licensing issues unless it was an entire case of the same group. Like Horror and Power Rangers would work with the small 8 ct. cases, but I don't know if there have been enough Star Wars without adding new Freddies. However, if they did a few one offs through the Funko Shop, maybe they could sell single boxes. Maybe this will be one of the items in the 20th anniversary sale this year! Can't wait to see pictures of your funk tree. I don’t really collect Mystery Minis but if Funko made a Freddy line I would definitely have to get myself a case. Oh this is a really good idea. I don't collect a lot of minis but Freddy minis would be so cute! !